It's getting to that time of year where school kids and teachers alike are just counting down the days till winter break, so let's talk about what kind of filler lessons and classes we had to put up with as kids! 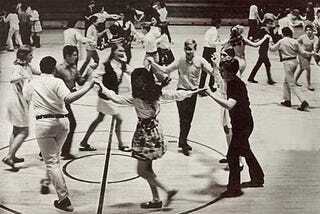 Did everyone have to take square dance in gym class? I hated square dance and I will never use it in real life. I also remember this time of year being when half of my teachers would just pop in a movie. I can't tell you how many times I watched Sister Act in choir or Outbreak in biology. Did anyone else have filler activities in school?